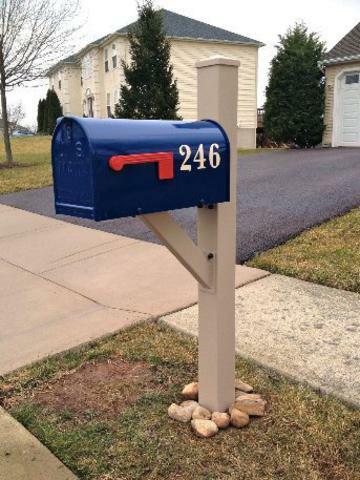 Shown in Beige Modern Post/with Blue Mailbox and Beige numbers. Price Includes choice of three different Aluminum post styles, Steel Powder Coated Mailbox and address numbers on both sides. And installation in concrete.